Well, my friend, I have a treat for you. Senior Brand Communications Manager for Kopari Beauty, Amanda Mueller, joins me on the show to talk about ways you can A) stand out and connect with brands and B) build strong relationships during your collaboration. If you’re not yet familiar, Kopari is a coconut-based clean beauty brand that’s growing FAST with the help of—you guessed it—influencer marketing! As the head of influencer marketing for Kopari, Amanda has worked with influencers like Summer Fridays’ Marianna Hewitt and Lauryn Evarts of The Skinny Confidential, as well as many micro influencers. 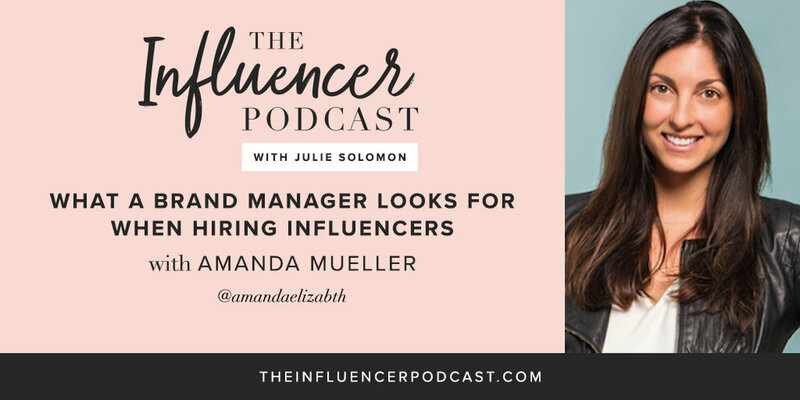 Amanda manages all of Kopari’s influencer, brand, and affiliate relations—which makes her a great resource for influencers to get a better look at how things work from the brand side. I know you’re going to walk away from this episode with a ton of great insights. I want to hear from you! Leave a comment and share your favorite success story of how you landed a collab with a brand. If you loved this episode, you’ll also love Episode #70: “What Brands Look for When Hiring an Influencer,” where Ali Grant shares a bunch of simple, tactical tips for both brands and influencers. You know I love to chat….especially with you! Snap a screenshot and tag me and @amandaelizabth on Instagram as you’re listening to this week’s episode. And remember to hashtag #theinfluencerpodcast, that way I can share your screenshot on my story too!